No matter the season, when 5:00 p.m. rolls around and you don't have plans for dinner, this soup seems like a pretty great idea. Trust me. Keep a bunch of red lentils in a jar in your cupboard and you'll be good to go. 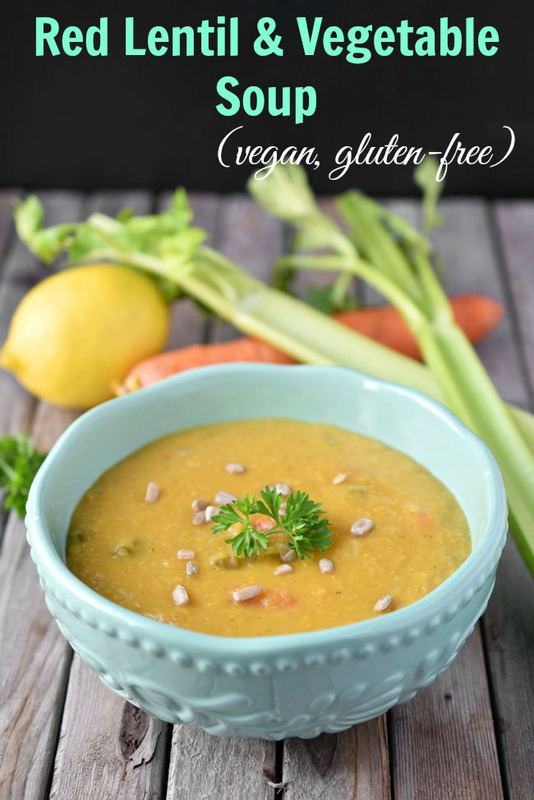 Red Lentil and Vegetable Soup requires very few ingredients and it practically cooks itself. No kidding. It doesn't look super fancy, but this soup has lots to offer - it's all-natural, nutritious and, best of all, darn tasty! My kids even eat it, so that right there tells you something. 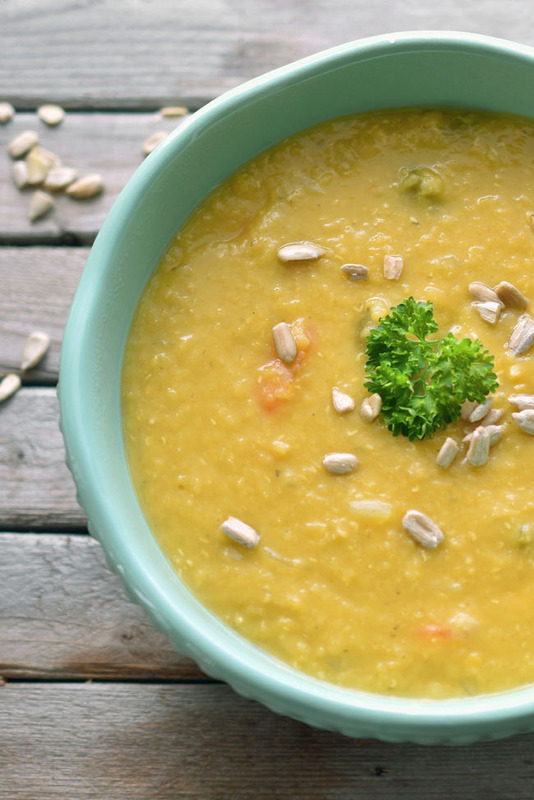 Are you a red lentil or a green lentil person? I tend to focus mostly on green lentils - probably because of my complete addiction to this lentils and rice recipe. But red lentils should not be ignored. They cook up quickly and break down into a soft texture that's great for soups and dal. People often ask me what my family eats for protein and one thing that's always on my list is lentils. Plus, red lentils have plenty of fibre, making them good for your digestion, blood sugar and weight management. 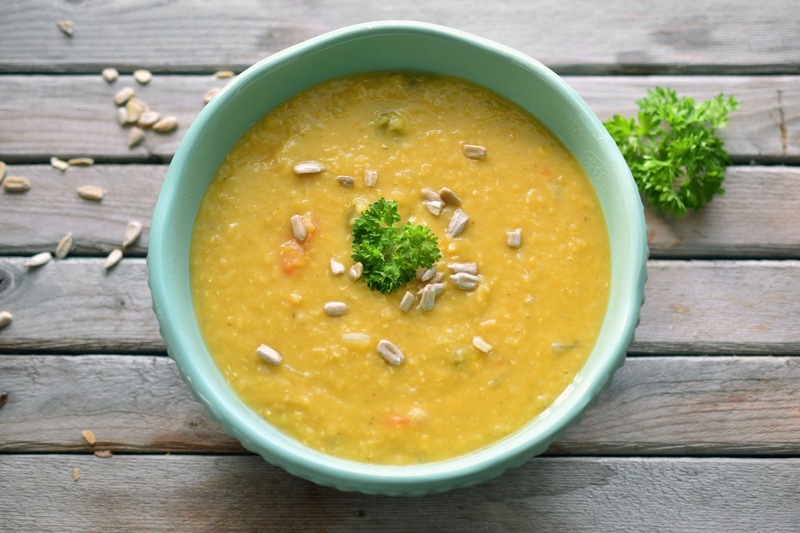 The red lentils give this soup a lovely hue, no? I based this soup on a recipe from Raising Vegetarian Children : A Guide to Good Health and Family Harmony . The original recipe is pretty great, but I wanted the soup to be even more nutritious and tasty, so I added carrots and celery and tamari and garlic. This soup hardens as it cools, but you can heat it up with a little more water the next day. Red Lentil and Vegetable Soup is hearty and filling, so you can add a chunk of fresh bread and call it a complete meal. And get back out doing fun and exciting summer activities faster! Do you make soup in summer? What kind? What do you make with lentils? Combine all of the ingredients up to and including the tamari in a large pot. Bring to a boil. Reduce heat, partially cover with a lid and simmer for 45 minutes to an hour, stirring occasionally (so soup doesn’t stick to the bottom) or until lentils have completely disintegrated. Stir in the lemon juice, cumin, salt and pepper. Top each serving with parsley and sunflower seeds. This looks really good. I'm not vegetarian, but I like good, healthy food (but I eat my fair share of junk, too, not gonna lie). I admire your vegetarian lifestyle for you and your family. I love soups and eat it all year round! Easy to make too! Thanks Carole.